Cool and refreshing, this 7-Up cake has the makings of a perfect ending to a summer supper. Thanks to Foodista member: Nancy Fox, the citrus flavors are ramped up a bit more by the addition of 7-Up. What a fun way to make this low cal dessert! Nancy mentions that this delight is actually from the 50's; a time when dessert was on every table. 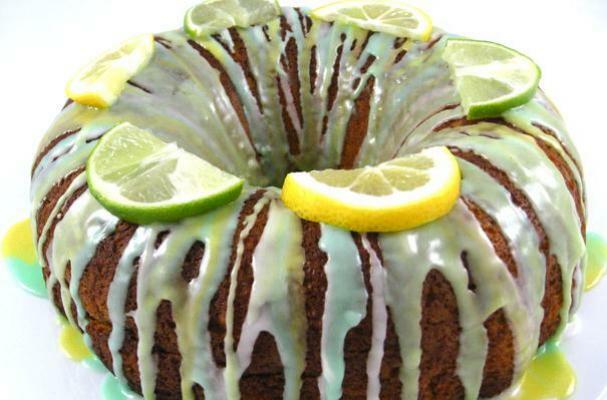 She makes a lovely decorative finish, with the pretty glaze and lemon/lime slices. So lovely.